We are a leading Manufacturer of tube cutting machine and bar drawing machines from Ahmedabad, India. 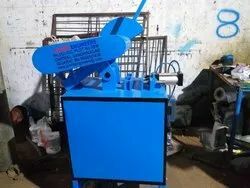 We supply tube/pipe cutting machine as per customer requirement.We cater seamless/welded tubes and pipes in MS/SS/COPPER etc. With rich industry experience and knowledge, we are engaged in manufacturing, trading and supplying a wide gamut of Bar Drawing Machines. These bar drawing machines are tested on several quality parameters so as to deliver a flawless range. As well, these bar drawing machines are acknowledged among customers for their less maintenance. The offered bar drawing machines are developed from finest quality components & leading techniques in sync with the industrial norms. Our bar drawing machines are available at nominal price in a given time frame.